Tourist attractions in Bali Kuta, very well known to many countries, many readers are familiar sights in Bali. Because so famous Kuta tourist attractions in Bali, kunjugan wisatawa resulted in many domestic and foreign. Tourist attractions are located on the southern coast of Bali has extraordinary beauty. Bali kuta coastline has a length of 2 km and curved like a crescent moon. White sand, waves typical of the south coast and rows of coconut trees a sight that you must capture with the camera. 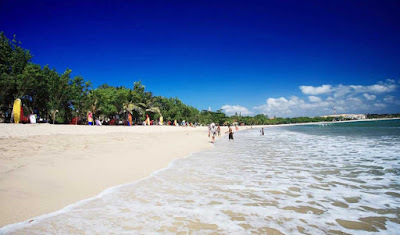 Became an icon of tourism in Bali, Kuta beach gets special attention from the local government. Various support facilities built here, ranging from restaurants, lodging, bars, souvenir shops until the rental of equipment for water sports. Entering the Kuta Beach area, you will see a lot of tourists passing by carrying a surfboard. This tourist spot is known as one of the best locations for water sports, both for beginners and professional surfers. Not infrequently, this beach is also being used as surfing competitions, national and international level.At dusk, this places more crowded by the tourists. 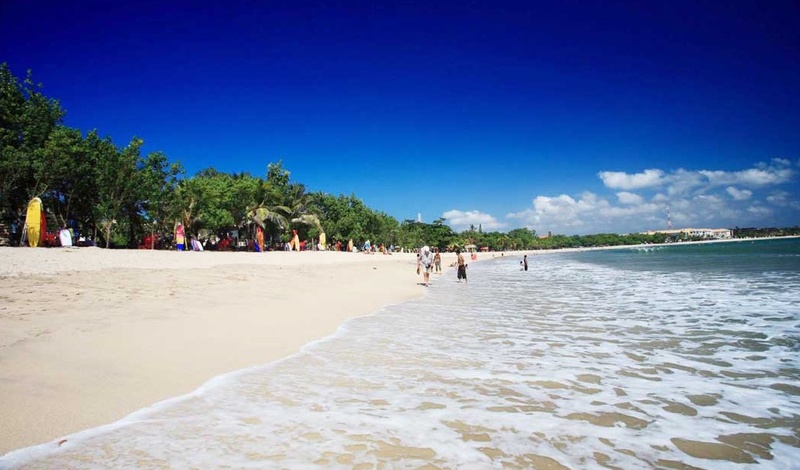 It is said that Kuta Beach earned the nickname 'Sunset Beach', as a rival of Sanur beach called 'Sunrise Beach'. View of the sunset at Kuta Beach has been recognized by many tourists who come here. To enjoy the beauty of these places, you are free. Only if you bring your own vehicle, you need to pay a parking fee of about 5,000 rupees. Price is of course very cheap for the size of the beautiful beach of Kuta Beach.